A £150 sterling silver six diamond star shaped ring, became the prize for Wylde’s Secret Stars puzzle trail last year! This gorgeous piece of jewellery could be won by solving the clues spread across The Bath Christmas Market 2018, by finding 6 secret stars. Our lucky winner of the biggest prize sent in the picture above – We hope she shared that Champagne! The star diamond ring she won was set with our unique patented Wylde Flower Diamond, making her officially part of the worldwide family of people sporting the stone. A big congratulations to her on her Wylde win! Thank you for getting involved and finding all the Secret Stars spread across the Bath Christmas Market. The competition was a pleasure to create, and brought many more visitors to the market in search of the treasure. Not only was this piece made for our Christmas Campaign however, but from November to December last year this tiny diamond ring was also launched with an idea to change the holiday seasons for lonely seniors during the Christmas period. 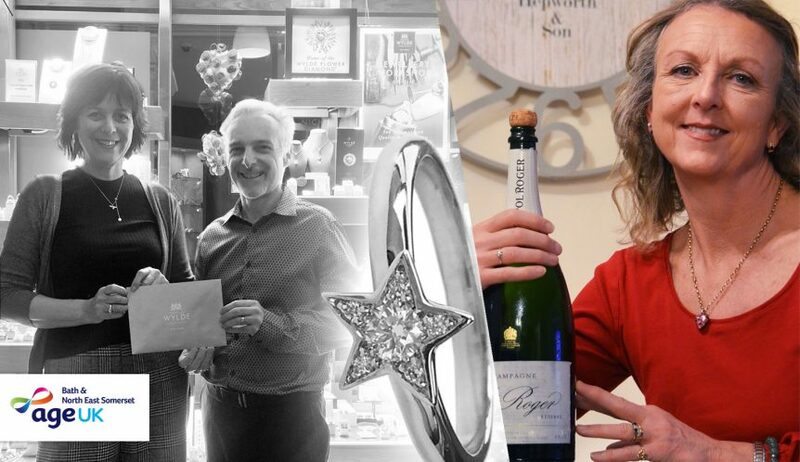 Sales from this £150 diamond star ring, along with everything else from Nicholas’ famously festive Dazzle Collection would have 10% donated to Bath’s independently run Age UK charity. Pictured above, a very grateful Janet Dabbs and director of our chosen charity, came by yesterday to collect the £245 cheque and take a quick snap with Nicholas outside our shop at Northumberland Place. Nicholas was delighted to hand over the cheque and thanked her saying “you do some incredible work!” – and he’s not wrong. 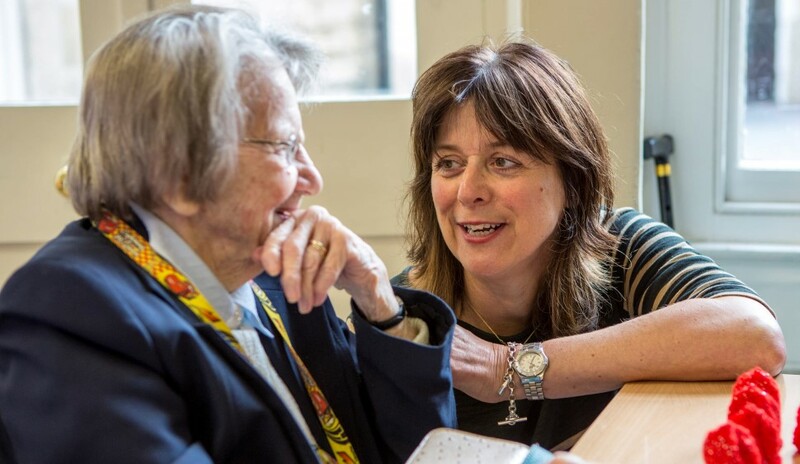 Over 100 trained volunteers at Age Uk regularly visit the elderly in our area through a scheme called The Befriending Service – this is specifically where our money went and where Janet said would benefit them enormously. In reading this article you have become aware of this stigma, and the only cure for it is awareness. Please share this post wherever you can to spread the word that this is so incredibly common, and even help lonely seniors to see that they are not alone in their plight.